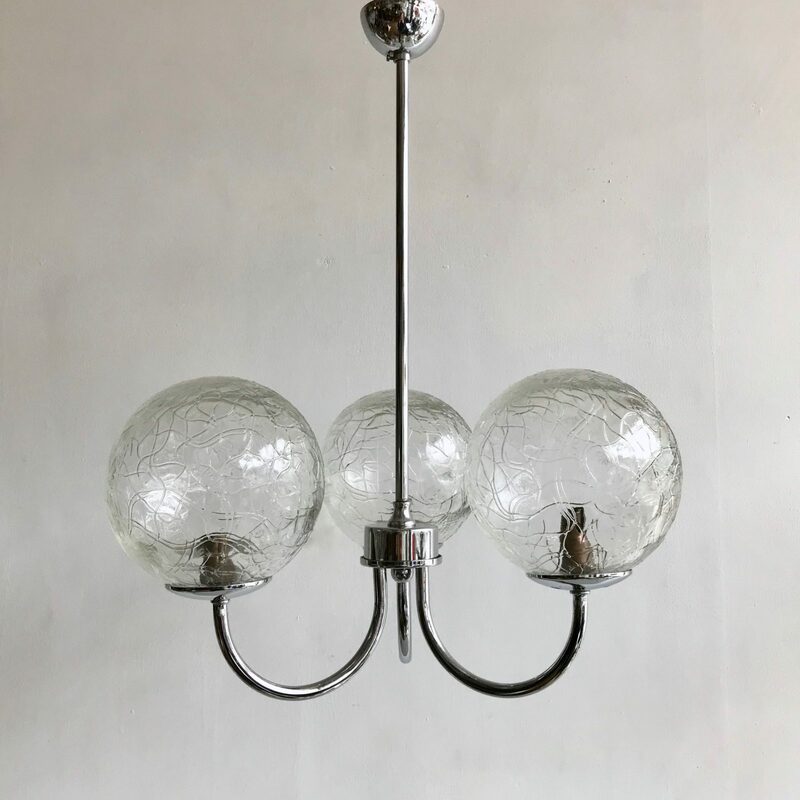 Mid Century chromed chandelier with its original clear textured shades. The chandelier has been rewired and restored. It takes three B15 lamps and fits straight to the ceiling.